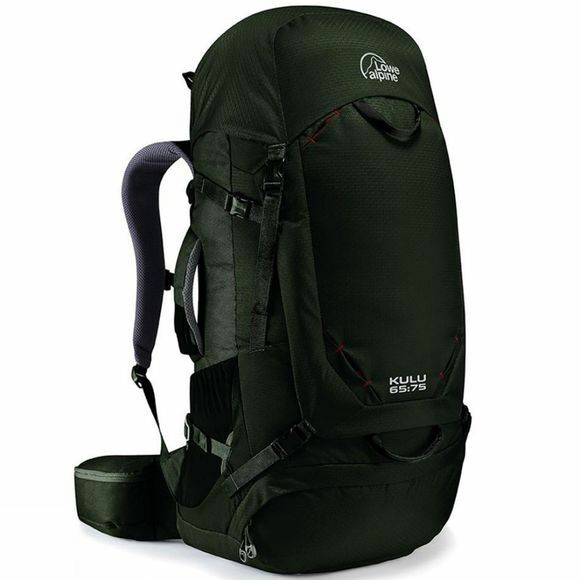 The Kulu 65:75 Rucksack from Lowe Alpine is the pack every backpacker has been waiting for. All the kudos of a backpack combined with a set of travel specific features to ease the stress of transit. Our new, patented Travel FlipBelt technology allows the user to stash the hipbelt during travel. Combined with the raincover / travel cover the pack can be converted into a standard piece of haul luggage. The Kulu is the perfect example of what Lowe Alpine does best, creating genuine innovations that make your life easier.